When Mark Burton started writing the film in 2010, he and his co-director consulted Headway because they story included a character who suffers amnesia after being hit on the head and they wanted to make sure it was handled sensitively. Aardman Animations’ hit comedy follows Shaun and his friends on their adventure to the big city to rescue their lost farmer, who was forced to leave his farm as a result of Shaun's mischief. When an accident results in the farmer receiving a bang on the head, the farmer is diagnosed with memory problems and it is up to Shaun and the gang to help the farmer. The film's closing credits displays Headway’s logo, helpline number and website address alongside with a message saying "Getting a bang on the head can be serious". 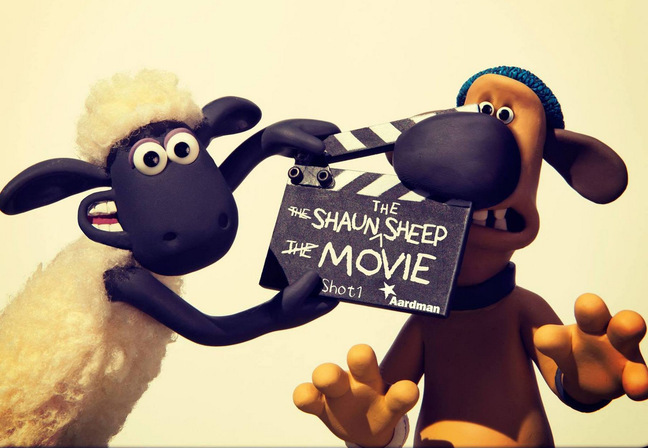 Aardman Animations also produced a promotional photo of Shaun sitting on a sun lounger reading the Headway booklet Memory problems after brain injury. Claire Wagstaff-Townend, development manager for Headway Worcestershire said: "Everyone at Headway is proud to be associated with such a popular and well-loved character. "We are delighted that Aardman Animations have decided to highlight that people who have sustained a brain injury often face extremely difficult daily challenges and that these challenges often extend to their families and carers. Note: This is a new book edited by Media dis&dat's Beth Haller. The book is available from the Advocado Press in print form and as an e-book from Amazon. An audiobook available from iBooks is in the works. Helen Keller is experiencing a 21st century renaissance. Finally she can be embraced not as an iconic deaf-blind celebrity but as a significant progressive thinker of the 20th century. The new book, Byline of Hope: Collected Newspaper and Magazine Writing of Helen Keller, gives voice to her ideas about how to make the world a better place and how to create a more equitable and peaceful America. Keller's "was the perfect message for the 20th century...that positive social change could occur." 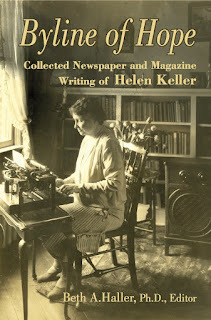 Helen Keller’s life offers much for study; she was an author, a socialist, the star of an early silent film, a vaudevillian, a suffragist, an international advocate and fundraiser for blind people, and even a co-founder of the ACLU. But no book has collected or examined her writings for newspapers and magazines until now. The book organizes her magazine and newspaper articles around themes, such as her sensory experiences, her socialism, and her advocacy of women’s issues and moral character. Byline of Hope is published by the Advocado Press, which publishes books on the disability experience in America. The $19.95 softcover book is available for purchase online at www.advocadopress.org or as an e-book for $9.95 from Amazon. The book is edited by media and disability scholar Beth Haller, author of the 2010 Advocado Press book, Representing Disability in an Ableist World: Essays on Mass Media. She is a journalism professor at Towson University in Maryland and curates disability news at Media dis&dat, http://media-dis-n-dat.blogspot.com/. A review from 'Criptiques' writer/podcaster/filmmaker Cheryl Green. 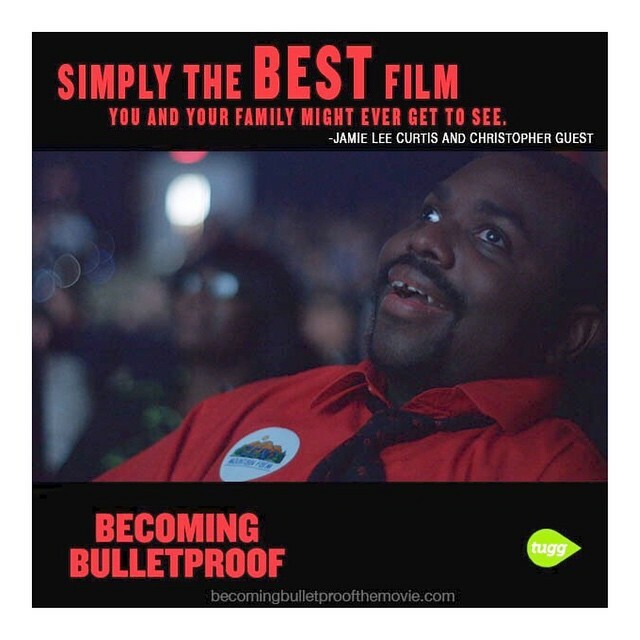 Watch the trailer for "Becoming Bulletproof" here. The documentary, directed by Michael Barnett, takes place at Zeno Mountain Farm, an intriguing place that’s as much a location as a philosophy. 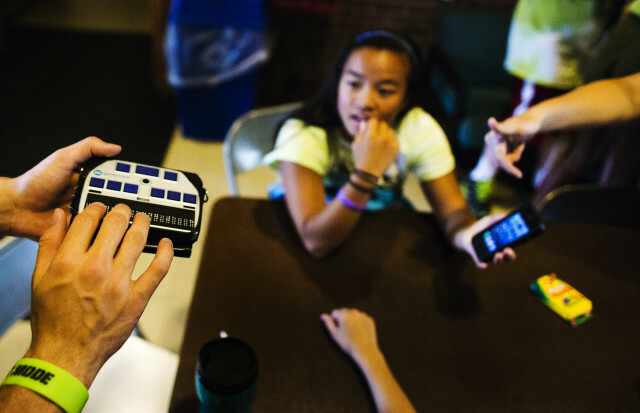 They run integrated camps for adults where no one pays tuition and no one gets paid to work. The founders value a world where disabled people aren’t segregated or shut out of opportunities because of cost. One of the many projects they do every year is to create a film. This is where “Bulletproof,” the short film is developed. There are tons of people in the film, and one documentary can’t provide intimate portraits of everyone in a cast this large. The emphasis is on profiling some of the 18 actors with disabilities and showing their insights, perspectives, and even their bodies more than those of the non-disabled participants. That’s potentially dangerous territory; this dynamic usually leads to an unexamined recreation of the circus freak show. Yet, “Becoming Bulletproof” handles this gracefully without objectifying the disabled actors. My guess is that the emphasis was on disabled people because most audiences are significantly less likely to have seen people with disabilities onscreen. So they are very interesting and novel documentary film subjects. Additionally, it might be a product of the Zeno founders and the documentary film creators being non-disabled and the fact that they’ve targeted their film to a non-disabled audience. If you follow this blog, you know how often I write about the dire need our media landscape has for more disabled media makers and performers, as well as characters with disabilities. It’s beyond outrageous the lengths people will go to, to avoid working with the disability community. I’ve worked with people here in Portland who complained that we shouldn’t hire disabled folks because “they’ll never get anything done” or “it’s too much work to accommodate them” (as if you know from the word “disability” what accommodations you might have to provide before you meet someone). My hope and dream is that people who see this documentary will awaken to how stigmatizing and oppressive these ableist attitudes are. In less than an hour and a half, in this film you see a huge range of ways in which people with disabilities get tremendous amounts done, and the accommodations needed weren’t considered burdensome. For these reasons, I hope the film also gets targeted to disability communities as well so that people can see themselves reflected back not as help objects, pitiful, inspirational, or a trouble someone has to shoulder. “Becoming Bulletproof” is a phenomenal film with absolutely top-notch videography and audio. It’s clear in every step of both the short film and the documentary, that all of the performers were treated like professionals and expected to perform as such. I’ve seen the documentary described online as “uplifting.” Sure, I cried a couple times out of sheer happiness when I watched it. But if uplifted is the strongest thing you felt, you missed at least half of what the movie has to offer. “Becoming Bulletproof” doesn’t have to be a feel-good film where you praise the non-disabled people for being thoughtful helpers and the disabled people for doing a special job making their special movie. This is a group of people making a real short film, having a real documentary made about them; some of them are disabled, while some are not. I know some people will come away from this movie “inspired” but without motivation to work toward equity in society. I do have faith that others will leave saying, “Damn it. We should be creating and allowing for 20% of our nation’s population to create and show up in, oh, maybe 20% of our media!” As AJ put it, “I want disability to have a seat at the table in pop culture.” This is not about saying “you’re such a good actor, I forget you have a disability.” This is about naming it truthfully and living with integrity and respect. AJ is referring to correcting the lack of representations and the misrepresentations of disability in media and culture. The Zeno Mountain Farm performers and stars of “Becoming Bulletproof” are most certainly going to be among the leaders in this movement. Since its release in 2003, Mark Haddon’s bestselling novel The Curious Incident of the Dog in the Night-Time has faced repeated criticism over its portrayal of autism. Though the story’s fifteen-year-old protagonist, Christopher, is never explicitly referred to as autistic, a synopsis on the book’s back cover describes him as suffering from Asperger's syndrome — a neurodevelopmental disorder on the autism spectrum — and critics have derided the narrative for perpetuating harmful stereotypes about the disabled community. 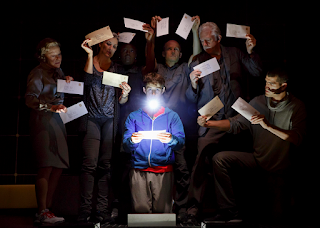 Even as Curious Incident lives on as a successful Broadway play — garnering a total of five Tony Awards in 2015, not to mention a rave review from the Voice — the production's handling of autism continues to draw the ire of the autistic community. Last month, it was announced that starting September 13, Tyler Lea would be replacing Alex Sharp in the lead role of Christopher for the show's Barrymore Theatre run. Both Lea and Sharp are "allistic," a term the autistic community uses to describe non-autistic people, and the decision was seen as yet another missed opportunity to allow autistics a modicum of control over how they are represented in popular culture. The community argues that more autistics should have been considered for the role — or, at the very least, consulted during the casting process. Appointed to the National Council on Disability by President Barack Obama in 2009, Ne'eman was the first openly autistic White House nominee in history. He founded the ASAN because, he says, autistic people have historically been left out of conversations regarding their own well-being. Though the ASAN has not taken any official action on the issue yet, Ne’eman says the nonprofit has been contacted by a growing number of autistics expressing outrage over the casting decision, and that the organization fully supports the community’s concerns. “I'm sick of the way that autism is portrayed in the media by non-autistic actors,” one commenter wrote. “I believe autistics are the experts in their own experiences,” added another. The petition has since been removed from the Change.org website.Earlier this year, a petition criticizing the play’s casting choices gained close to 400 signatures on Change.org. Dozens of autistic people and allies from around the world commented on the website, imploring the show's producers to let the community represent itself onstage. The topic has also been discussed on Twitter — using the hashtag #FilmDis — as part of a weekly conversation every Saturday night on the topic of how disabled people are portrayed in media. And the popular theater websiteHowlround wrote a piece while Sharp was still in the cast asking whether or not it was appropriate to cast a non-autistic to play a character with autism. The article generated a lively discussion in the comments section. Carolyn Ledesma, an autistic woman from Portland, Oregon, says the autistic community’s repeated attempts to contact the play about its casting process have gone unanswered. The production declined the Voice’s requests for interviews, instead offering a brief statement through a publicist via email. Haddon, too, declined a request for comment through his literary agent, Aitken Alexander Associates. The agency instead directed the Voice to a 2009 post on Haddon’s website titled “Asperger’s & Autism,” in which the author admits to conducting no research on either disability prior to writing the novel. "[C]urious [I]ncident is not a book about Asperger’s," Haddon wrote. "It’s a novel whose central character describes himself as ‘a mathematician with some behavioural difficulties.' Indeed he never uses the words ‘Asperger’s’ or ‘autism.' " He also concedes that he wishes the word Asperger’s had not been used on the book’s cover. There is a long, controversial history of “ableism” in Hollywood and on Broadway, from Dustin Hoffman’s autistic, savant-like character in the 1988 film Rain Man(for which he won an Oscar) to Eddie Redmayne’s portrayal of Stephen Hawking in last year's The Theory of Everything.Very rarely are disabled actors given the opportunity to play disabled roles, and seldom, critics argue, do allistic writers craft accurate, multidimensional disabled characters in their work. This approach, they say, leads to pernicious stereotypes and public misconceptions about what it means to be a disabled person in America. As director Steve Kloves works to turn Curious Incident into a film, and representations of disabled people continue to abound both on the screen and the stage, the hope is that the autistic community will one day be given a greater say in how its members are depicted. Dozens of ramps along sidewalks leading to the Silver Line Metro stations in Tysons Corner do not meet federal requirements for providing access to people with disabilities — and they may not be fixed until the end of 2016. Among the problems: Some of the ramps were installed incorrectly, some are too steep and all have landings that are too narrow to meet standards outlined in the Americans With Disabilities Act, according to inspectors for the state of Virginia. State officials told the Metropolitan Washington Airports Authority, which is constructing the Silver Line, about the problems more than a year ago, according to e-mails and inspection reports. MWAA contends that no one has been injured by the ramps and that officials have not received any formal complaints. But a spokesman for the National Council on Disability, an independent federal agency that advises the president, Congress and other federal agencies on ADA policy, said there was no excuse for MWAA and Bechtel — the lead contractor on the project’s first phase — not following the law. MWAA said the ramps are being fixed. McAllister could not estimate the cost of the repairs but said they are included in the additional $76 million in cost overruns that the authority announced this past spring. 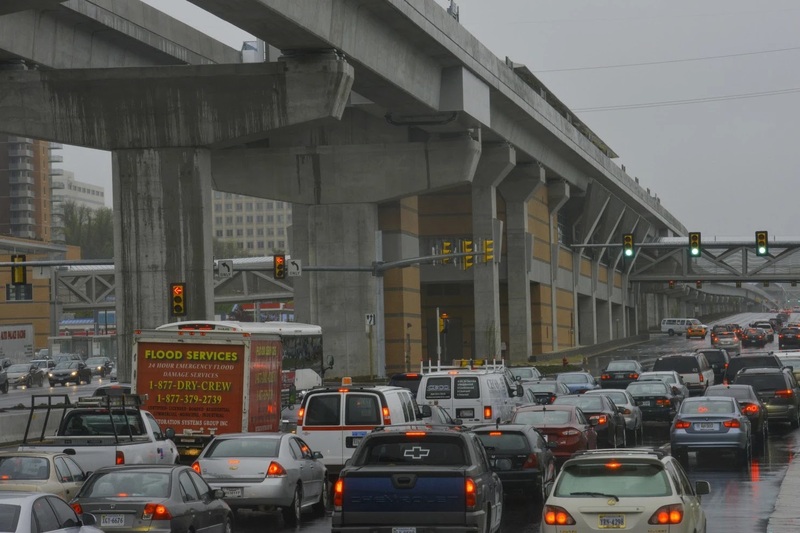 That means that Dulles Toll Road users — who are shouldering the bulk of the project’s cost — as well as MWAA, and Fairfax and Loudoun counties will pay for the fixes. In total, the $5.8 billion rail project, the first phase of which opened in July 2014, is $226 million over budget. 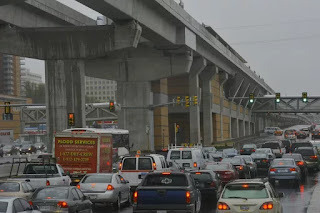 Construction of the Silver Line rail project is being managed by MWAA, but the Virginia Department of Transportation will be responsible for maintaining the ramps and sidewalks along Routes 7 and 123 that lead to the Metro rail stations. VDOT has refused to take control of the sites until the authority meets the ADA requirements. Late last month, MWAA and Bechtel submitted drawings to state transportation officials detailing fixes for some of the 60 ramps. McAllister said that MWAA will fix 20 ramps because of sloping issues but has not committed to changing the other 40, which do not have the proper size landings to allow for wheelchair movement, state officials said. Clyde Terry, chairman of the National Council on Disability’s Policy Committee, noted that as the country celebrates the 25th anniversary of the ADA this year, it is important that the public remember the purpose of the law is to be as inclusive as possible, particularly in transportation, which is critical to helping all people get around. “The standards are the standards, and they need to comply with them,” he said. According to a timeline provided by VDOT, the authority was told that there were problems with the ramps in March 2014, including damage to the tiles that alert people with disabilities to the fact that they have encountered a ramp. McAllister initially disputed this account, saying that the authority had not been made aware of the problems until early this year. “On Feb. 2, 2015, VDOT for the first time provided a list of deficiencies based on alleged failures to comply with their interpretations of federal ADA standards,” McAllister said in an e-mail responding to questions about the timeline. But when pressed, McAllister acknowledged that MWAA was aware earlier of “minor issues” with the ramps. A second inspection was done on Dec. 19, according to VDOT’s timeline. And later that month, Frank Matchner, the designer of record who worked for Bechtel, submitted a summary that acknowledged “multiple deficiencies” as well as his initial proposed solutions. But the ramps continued to be problematic. And MWAA and VDOT remained at odds over whether they would be fixed. In February, VDOT sent the authority a list of ADA-specific deficiencies. MWAA acknowledged receiving the list but continued to dispute the findings. For example, McAllister said project officials disagree with VDOT’s contention that ramp landings need to be five feet square. Project officials built all 60 ramps with 4-by-4-foot landings and said VDOT did not inform them of a rule change. Other flaws included instances in which raised surfaces designed to signal when a person is approaching the end of a sidewalk were worn or partially installed. Tom Fahrney, special project development manger for VDOT, acknowledged differences in interpretation but said MWAA and its contractors were required to follow current requirements. Leslie Martin, civil rights manager for VDOT’s Northern Virginia district, said features such as raised surfaces and ramp landings help individuals with disabilities navigate sidewalks and roadways. They are designed to be consistent so that people don’t have to worry when they travel between different cities and states. Bechtel spokesman Warren Getler said the work would be done but characterized the fixes as “minor adjustments” to the ramps. “There really is not a safety issue” with the ramps, Getler said. Phil Posner, a member of Metro’s Accessibility Advisory Committee, said it is important that transit facilities are accessible to everyone. FREDERICK, Md. -- A new documentary on the death of Ethan Saylor, a Frederick man with Down syndrome who died while police were restraining him, has been produced. Ethan's Law contains accounts from eyewitnesses who claim information they had on the incident was ignored by authorities. Saylor, 26, died from asphyxiation on Jan. 12, 2013 when three off-duty Frederick County Sheriff’s deputies forcibly removed him from a movie theater after he tried to stay for a second showing without buying a ticket. Filmmaker Edward Rhodes said his documentary started as an expose on the incident and during the process, he believes he's uncovered new information. "The Masser’s themselves feel there was a possible cover-up scenario." Rhodes said. "They state on-camera the Frederick Sheriff's department changed their written testimony between the time they gave it and the time they published it in a 98-paged report," added Rhodes. Rhodes wants viewers to draw their own conclusions surrounding the criminal investigation, but he also wants to highlight Ethan’s legacy, a bill signed into law by Maryland Gov. Larry Hogan this past May. "Two years later, now we have history. Now, we have Ethan’s Law in Maryland, which states that people with disabilities will be training law enforcement and first responders - and that's unprecedented," Rhodes said. Rhodes attributed the passage of the law to Ethan’s mother, Patti Saylor, and her determination to make something positive out of a tragedy. "You get to see how to create a grassroots advocacy campaign and actually get results," Rhodes said. No criminal charges were filed against the three Frederick County Sheriff's deputies, but a civil case is still underway. Frederick County Sheriff Chuck Jenkins declined to comment on the allegations presented in the film due to pending litigation. The film is scheduled to debut October 3 at the 2015 Shepherdstown Film Festival. Rhodes has started a fundraising campaign to help cover post-production costs, as well as film festival entry fees. If you’d like to learn more about the documentary or help fund the project, click here. 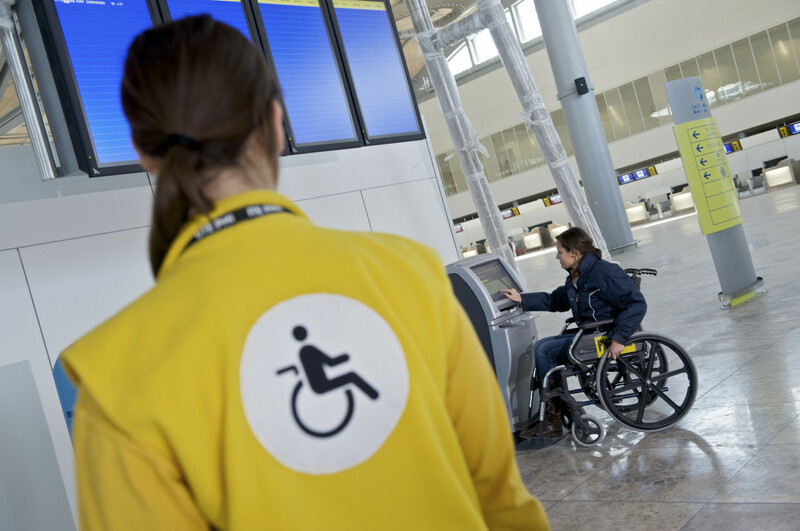 According to a recent survey from Open Doors Organization (ODO), travelers with disabilities contribute $17.3 billion to the travel industry every year, not counting their companions, which would double the amount to $34.6 billion. The survey, which defined disability as those having blindness, deafness, cognitive disabilities or “a condition that substantially limits one or more basic physical activities such as walking, climbing stairs, reaching, lifting, or carrying,” found that 72 percent of passengers experienced physical obstacles or miscommunication with airlines, and 65 percent with airports. In 2014, the US Department of Transportation (DOT) reported that 47 percent of disability-related complaints received were due to inadequate assistance provided to passengers using wheelchairs. But they don’t end there. Geoff Ames, at Rocky Mountain ADA Center revealed in a radio interview with Colorado Public Radio that there’s often mishandling or lost baggage containing prosthetic parts, stressful pat downs for service animals, miscommunication and simple refusal to accommodate a passenger simply because the regulations that hold airlines accountable are lax. While transit systems operating on land, such as buses and trains are subject to the Americans with Disabilities Act (ADA), airlines fall under a different set of “more lenient” regulations called the Air Carriers Access Act (ACAA). “Perhaps the law needs to get a little bit more specific in terms of the standards, the dimensional standards of aircraft to provide access for people’s mobility devices,” revealed Geoff Ames of the Rocky Mountain ADA Center in the radio interview. And, “In defense of airlines,” Ames says, “the Air Carriers Access Act goes back to 1986, before the ADA.” He also acknowledges that accommodating passengers with disabilities, such as including a wheelchair-accessible washroom, is no easy feat on an airplane. Not easy, but possible, easyJet will say, as the low-cost carrier announced that by 2018, its fleet of A320s – new and old – will be outfitted with Airbus’ Space Flex 2 lavatories, the only Persons with Reduced Mobility (PRM) friendly inclusive option offered for single-aisled aircraft. Air Canada and WestJet, under the Canadian Transportation Agency’s, One Passenger, One Fare policy, also offer additional seating required to accommodate assistive devices, service animals or attendants, free of charge to passengers with disabilities. And at Istanbul Atatürk Airport, Turkish Airlines provides a separate check-in counter to better serve passengers who need special care. Last year, Air Canada was the first airline to provide an in-flight entertainment (IFE) system with text-to-speech technology, allowing visually-impaired passengers to navigate the IFE interface. Further to that, the DOT is working with the APEX Closed Caption Working Group and National Center for Accessible Media to bring descriptive audio onboard. Nyle DiMarco, a former Frederick resident who is deaf, was selected to be on one of the longest standing reality shows on television, “America’s Next Top Model,” for its 22nd cycle. From the early-to-mid 2000s, DiMarco was enrolled at the Maryland School for the Deaf, and just last year, he discovered modeling. We conducted an email interview with DiMarco, who will be be the first deaf contestant on the show ever. The show will premiere on The CW Network 8 p.m. Aug. 5. How long did you live in Frederick? What prompted you to enroll in the Maryland School for the Deaf? I lived in Frederick from 2001 to 2008 ... from middle school to high school. MSD’s great education and competitive peers were what prompted me to enroll.When did you discover modeling? I discovered modeling last fall (2014) when photographers started asking to shoot me. That was when I decided to become a model and to see how far it will take me. What did you learn from Maryland School for the Deaf/Gallaudet University that benefits you in the modeling circuit? I grew up in a challenging school, both education and peers, so they taught me to know where I stand, know what I am capable of. ... When struggle arises, climb atop it. Gallaudet also taught me pride, and that is a significant attribution to succeeding. You have to take pride in what you do in order to succeed. Is there any difficulty being deaf in your profession? If so, what are those difficulties? There are no difficulties being deaf in my profession. Sometimes hearing photographers would question (my) ability, but then they would be proven wrong and even impressed. What skills does modeling require that would surprise people? American Sign Language requires facial and body expressions, so that is indeed a skill that would not only surprise people but bring energy and story out of a picture. Not only that, your expressions give you the skills to read photographers. You will know if they’re satisfied or not, and when they instruct you to change a pose or do what they want you to do, you’d immediately follow. What are your plans after the show airs? Do you have any projects? After the show, my plan is to get signed to an agency, both acting and modeling, and to go back to school to earn a master’s degree. I have a lot of projects in mind and would love to use my fame from “America’s Next Top Model” — just need to narrow down my projects and see what I really want to do. You have done some educational work at deaf schools. What are those endeavors, and do you have anything planned for the future? I enjoy teaching, and I enjoy seeing students grow from the beginning to the end. I have done a lot of teaching practicums and internships. If/when my modeling/acting career’s over, I would love to go back to a deaf school setting and eventually work somewhere in the administration level. Being in deaf community is my home, and I would love to give back to my community. What can you tell us about your time on “America’s Next Top Model”? My time on “ANTM” was amazing. Something I would never trade for. You can’t really beat the whole idea of being trained by Tyra Banks, Miss J, Kelly Cutrone and, last but not the least, Yu Tsai. Funeral services were pending August 4 for Lynn Manning, the co-founder and artistic director of theWatts Village Theater Company. Manning died Monday from liver cancer at age 60. An award-winning poet, playwright and actor who rose to inspirational heights after being blinded by a gunshot at age 23, Manning worked for decades to provide theater and arts education to the communities of Watts and South Los Angeles. Originally a painter, Manning rededicated his life to the written word after a stranger shot and blinded him in a Hollywood bar, according to the WVTC. Manning, who co-founded the theater company in 1996, was also a former world champion in Blind Judo. He was recognized by President Barack Obama just two weeks ago at a White House celebration of the Americans with Disabilities Act, according to the WVTC. At the time of his death, Manning was helping the company prepare for the upcoming production of “Riot/Rebellion” beginning Aug. 14, in honor of the 50th anniversary of the 1965 Watts riots. Progress over the past 25 years has made computing more accessible to people with disabilities. But from design to finish, accessibility is still an afterthought in the race to technological innovation. Despite breakthroughs in robotics, speech recognition, eye-motion sensors, virtual reality and many other areas, the general design approach to new products still excludes people with disabilities. But that might never happen, given rapid technological turnover and the meticulous, labor-intensive process of creating accessible products. He said cutting-edge technologies, in particular, “need the most attention in terms of inclusive design” because there are new apps, new websites and new services every day. “If it is designed by people who aren’t aware of the special needs of people who are blind or mobility-impaired, there is a danger that it won’t be designed with every possible user in mind,” he said. Amid the constant evolution of technology, developers are often too busy to update legacy websites. And they “don’t always follow best practices and guidelines on how to encode accessibility from the beginning,” said Steinfeld. A lot of progress has been made on the Web, on mobile platforms and in digital publishing to implement accessibility guidelines so that people with a wide range of disabilities are able to use the Internet effectively. But that only works if the content is created in a way that is cognizant of accessibility, said Jeff Bigham of the Human-Computer Interaction Institute at Carnegie-Mellon University. Accessibility is an important design consideration across all areas of technology development, saidJudy Brewer of the Massachusetts Institute of Technology (MIT), Director of the Web Accessibility Initiative (WAI) at the World Wide Web Consortium (W3C). Accommodating limitations in hearing, vision, dexterity, and cognition, for example, can only lead to broader usability and benefit. Neglecting that is a “disservice to the general population,” said Steinfeld. That means creating technologies that work for everybody, rather than approaching accessibility as a niche market, so that a visually-impaired person, for example, can use Braille on the same websites others use. “There’s this concept called Universal Design, which says that you should be designing a system to support a wide range of users, including people with disabilities,” said Steinfeld. “But you should do it in a way that has value and impact for the general population so that it becomes something that really has a positive impact on society as a whole rather than being a niche solution for a niche market. Brewer said work is needed both on the design and product services level and on raising awareness among students, most of whom come into universities with little or no experience with disabled people. Often, they only become aware of the needs of the disabled when they get older or have increased exposure to disabilities. Universities are producing “too many developers who don’t know about accessibility,” said Bigham, and need to focus more on that area of expertise because ultimately, accessibility isn’t only about technology. “It’s not in their mindset,” said Steinfeld. This is why a new collaboration between the tech industry, the disabled community and academic institutions has sprung up. It’s a long way ahead, particularly for the visually-impaired. And there are “real barriers still in place in many mainstream experiences.” he said. But he hopes the collaboration will help “narrow the gap for disabled people” so that that there are more successes and fewer failures, in the future.